I really don’t want to write about this. I’ve been putting it off since a pair of noontime emails alerted me to a plea agreement in the case of Anita Sue Cherry, the driver charged in the death of 8-year old Andrew Brumback in January of last year. AJ, as his family and friends called him, was hit by Cherry’s car as he rode his bike to school in January of 2011. He was riding shortly ahead of his sister when he crossed into the Westminster intersection; Cherry initially claimed he “came out of nowhere,” police later concluded that she had been looking down — at what, they never said — when the impact occurred. In other words, she broke the most basic rule of driver by failing to maintain awareness of what was in the road directly in front of her. And that single moment of distraction took the life of an innocent boy. Fortunately, his sister did not see the collision, though what she did see afterward must have been almost as devastating. It certainly was for the owner of the house in front where he died; you can still see the ghost bike and roadside memorial that sprang up afterwards in the Google Street view photo. And I’m told the Westminster Little League players will wear his initials on a patch this season. Cherry, who stayed at the scene, was reportedly distraught at taking AJ’s life. Maybe that’s why the D.A. seems to have been so lenient in this case, offering her a plea deal without a single day behind bars. 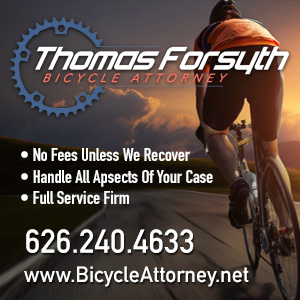 She had been charged with a single misdemeanor count of vehicular manslaughter without gross negligence, with a maximum sentence of one year in jail; instead, she pled guilty to misdemeanor reckless driving. With a limp wrist slap sentence of three years informal probation and 300 hours of community service. Sending her to jail won’t bring AJ back. And it won’t ease the pain of his family, as shown by the witness statements quoted by the Orange County District Attorney’s office. If Cherry has any conscience whatsoever, having to wake up every morning with the weight of AJ’s death on her shoulders is a far greater penalty than any jail sentence could have been. On the other hand, letting her walk feels like a failure of the judicial system. It’s a perfect example of why children and cyclists and pedestrians continue to die on our streets, when the judicial system refuses to hold drivers accountable for their actions or the lives they take. Maybe this was a fair outcome. Maybe not. It certainly doesn’t seem like it to me. I’ve been angry and depressed all day since I got the news. And more committed than ever to support Safe Routes to School. Because eight-year olds shouldn’t die on their way to class. 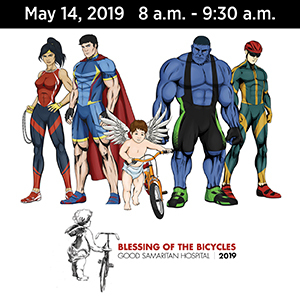 L.A.’s favorite fundraiser ride rolls on June with the 11th Annual River Ride; advance registration is open now. 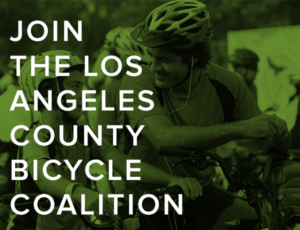 Volunteers are needed now and on the day of the ride, email RRvolunteer@la-bike.org for more info and to sign up. News broke within the last half hour that an eight-year old was killed riding his bike to school today. According to the Orange County Register, Andrew Brumback, a 3rd grader at Sequoia Elementary School in Westminster, was riding with his sister when he was struck by an SUV driven by Anita Cherry of Westminster. The collision occurred at the intersection of Choctaw Drive and Iroquois Road at about 8 am today; he was pronounced dead at Huntington Beach Medical Center. Unfortunately, there’s not enough information to speculate on how this collision may have occurred. However, the paper notes that the driver stayed at the scene and did not appear to be under the influence. 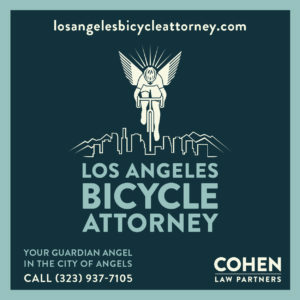 This is the fourth SoCal biking death this year, and the second in just two days. My heart and prayers go out to his family and loved ones. Thanks to Lois for the heads up.